Need some budget-friendly outfit inspiration? I’ve got you covered! Here’s one of my favorite outfits of the day, and this look is perfect for those of you who are on the go. If you’re running out the door and need something cute, comfortable and easy to put together, this is for you. This shirt is incredibly soft and so comfy! The loose fit assures that it isn’t too tight in the arms, yet it’s not too loose in the body. It tapers in slightly around the waist giving it a flattering, feminine look. 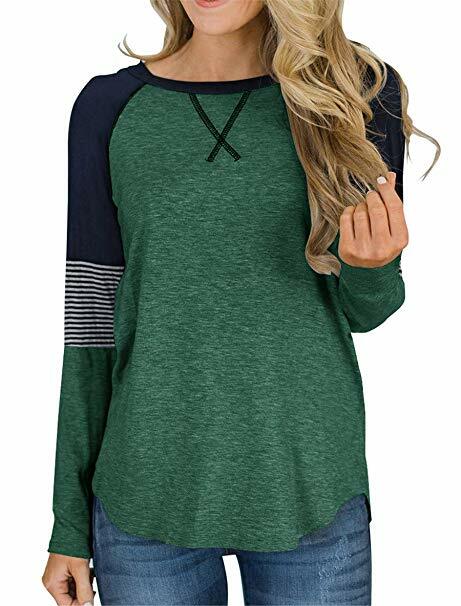 The lighter fit makes this a great shirt for transitioning from Winter to Spring or Summer to Fall. And bonus: it comes in a ton of different colors so you can mix and match! A wuick tip it to tie the bottom cornre in a knot to givve it a little flare. For those of you who wear American Eagle jeans, you know there is nothing else quite like them. 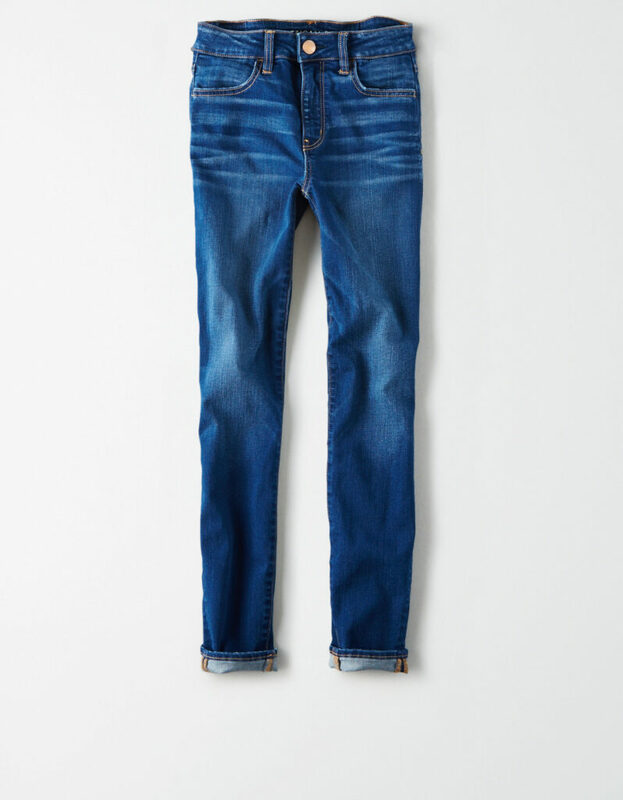 AE jeans are incredibly stretchy, soft and have subtle designs that makes them the perfect basic for pairing. The high rise fit is perfect for matching with bodysuits, tucked in t-shirts, or longer hanging tunics like the one in this outfit. If you need a versatile, staple piece in your wardrobe, this is THE shoe! 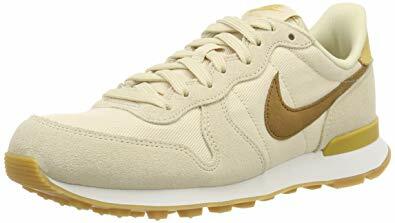 These beige and white Nike sneakers will match with every piece in your closet, and they can be dressed up or dressed down. Reviews will tell you that they are durable, provide great support, and are perfect for any age group.